Sony has released a video on YouTube today showing new aspects of the PlayStation 4 interface and some of the practical use-cases for its next-gen video sharing and social features. The clip, which was leaked by multiple YouTube users last week, hints at the console’s new low-power state. Similar to the PlayStation Portable and PlayStation Vita, it allows players to resume a gameplay session or jump into the dashboard with almost no load times. The home screen shows a large, square icon for loading whatever is in the disc tray, alongside a list of commonly used apps and games on the right-hand side. A series of tiles are then distributed underneath, showing updates to the PlayStation Store and in-game progress by other players. There’s a degree of editing here, so it’s difficult to analyze the speed of the various interface transitions. Jumping to another player’s profile seems fairly straight-forward – this was also shown off at the original PlayStation 4 reveal event – and there’s a clear pathway to find user-uploaded videos related to the game that the player is currently in. 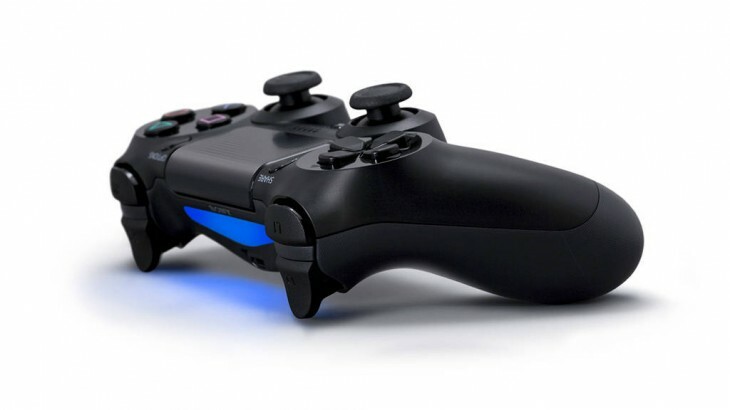 Pressing the PlayStation button in the middle of the controller throws the player back into the current game, similar to how the Guide Button operates on the current Xbox 360 controller. The video later shows the player downloading a digital copy of Killzone: Shadow Fall. There’s a new tidbit here, as it gives the player two options; download the multi-player mode first, or the single-player campaign. Downloads aren’t quite instantaneous, so it allows the consumer to prioritize which content they would like to play first. In this instance, where a friend wants the player to join their team online, it means the initial wait-time will be shortened considerably. Players can jump back into their existing game while the new content downloads – no surprise there – and receive on-screen alerts for new messages and notifications. They’re small, but don’t appear to offer a preview of the message itself. For that, players will still need to open it up and exit their play session. A quick glimpse at the on-screen keyboard shows that navigating between characters can be manipulated with the new controller’s built-in gyroscope. Choosing letters and symbols looks much faster this way, although we expect players will need a bit of time to adjust. Smartphone functionality is also on offer here. Users are able to reply to messages and download new games from their device so that it’s ready when they get home. The PlayStation 4 is shaping up to be an interesting console. The refreshed social features are subtle, but will arguably have a greater effect on the overall experience of the console and the community created for different game franchises.